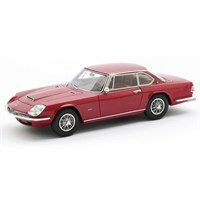 Matrix 1:43 resin model of the 1967 Maserati Mexico Speciale Frua. 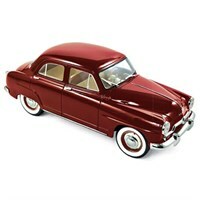 Norev 1:18 diecast model of the 1953 Simca 9 Aronde in red. 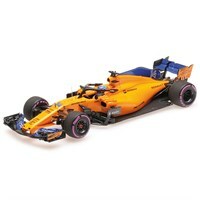 Minichamps 1:43 diecast model of the #14 McLaren MCL33 as driven by Fernando Alonso in the 2018 Canadian Grand Prix. 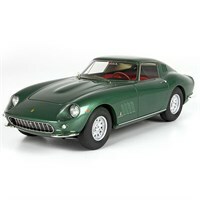 BBR 1:18 resin model of Battista Pininfarina's personal Ferrari 275 GTB in light metallic green. 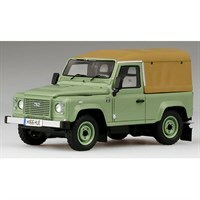 TrueScale Miniatures 1:43 resin model of the Land Rover Defender 90" Heritage. 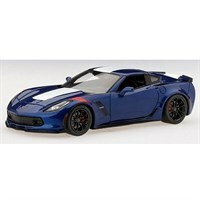 TrueScale Miniatures 1:43 resin model of the Chevrolet Corvette Grand Sport in blue. 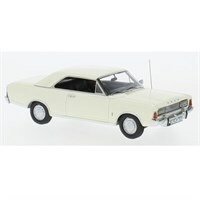 Neo 1:43 resin model of the 1971 Ford Taunus P7B 20M in white. 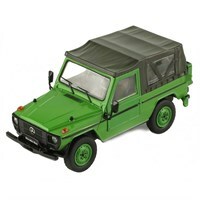 Ixo 1:43 resin model of the 1986 Mercedes 240 G SWB Soft Top in Olive. 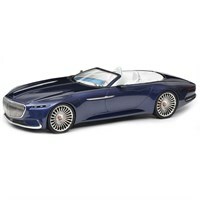 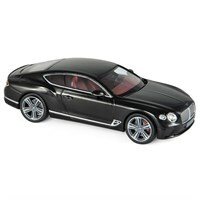 Schuco 1:43 resin model of the Mercedes Maybach 6 in black. 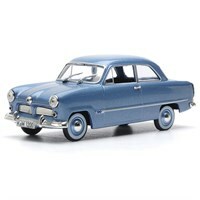 Norev 1:43 diecast model of the 1954 Ford 12M in blue metallic. 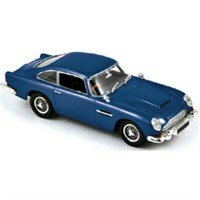 Norev 1:43 diecast model of the 1964 Aston Martin DB5 in blue. 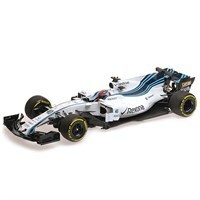 Minichamps 1:18 resin model of the Williams FW40 as driven by Robert Kubica in the 2017 Abu Dhabi Grand Prix test. 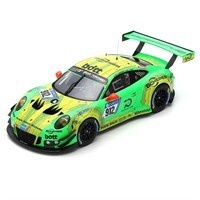 Spark 1:18 resin model of the #912 Porsche 911 GT3 R as driven to victory by Frederic Makowiecki, Patrick Pilet, Richard Lietz and Nick Tandy in the 2018 Nurbugring 24 Hours. 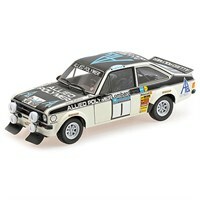 Minichamps 1:18 diecast model of the #1 Ford RS 1800 as driven to victory by Timo Makinen in the 1975 RAC Rally. 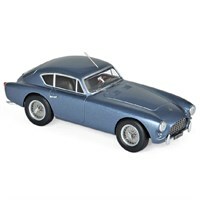 Norev 1:43 diecast model of the 1957 AC ACECA in blue metallic. 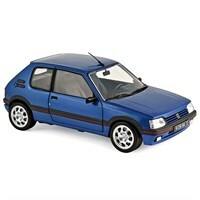 Norev 1:18 diecast model of the 1992 Peugeot 205 GTI 1.9 in Miami Blue. 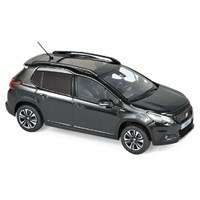 Norev 1:43 diecast model of the 2016 Peugeot 2008 GT Line in Perla Nera Black. 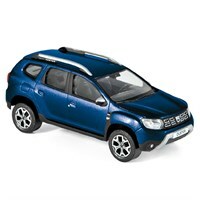 Norev 1:43 diecast model of the 2018 Dacia Duster in Cosmos Blue. 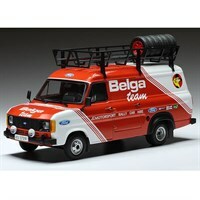 IXO 1:43 diecast model of the 1979 Ford Transit Mk.II Belga Rally Assistance. 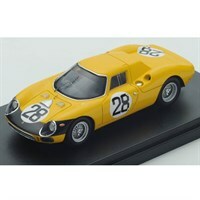 Look Smart 1:43 resin model of the #28 Ferrari 250 LM as driven by Gustav Gosselin and Eric de Keyn in the 1966 Le Mans 24 Hours. 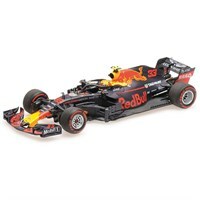 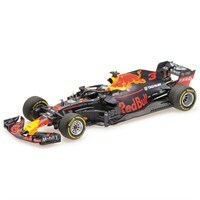 Minichamps 1:43 diecast model of the #33 Red Bull RB14 as driven to victory by Max Verstappen in the 2018 Austrian Grand Prix. Minichamps 1:18 diecast model of the #28 Toro Rosso STR13 as driven by Brendon Hartely in the 2018 Formula One season.